SUN AN, 50 li north of Ping Yang. March 12/04. Here at the village of Sunan, some sixteen miles north of Ping Yang and on the main Pekin Road which leads straight to the Russians, I wait and wait for permission to go onward. East I may ride, and west and south, as far as I please; to the north I may ride a hundred yards, and then a Japanese guard turns out and warns me back. Sunan, and it must have contained four or five thousand inhabitants, is practically deserted. Already the doors and windows have begun to disappear, and inside the houses are quite bare. A captain, with a company of men, is in charge of the town; and each day it is his duty to make arrangements and billet the soldiers which arrive each night from the south and push on next morning into the north. Naturally, the houses thus occupied by the never-ending procession of troops have been abandoned by their owners. But the rest of the villagers have fled as well, even those living on the outskirts. Ten years ago, when the Chinese came down the self-same road, the villagers learned what occupation by soldiers meant. This time the Russian scouts came down and went back, and the Japanese are going up; while the villagers are hitting the high places for their hiding-places in the hills. Each day the men trickle back along the foot-paths to have a “look see” and to carry away more of their household goods. As they took the most valuable first, and continued to do this, their loads are now quite bulky, being composed of rolls of matting, great earthenware pots and jars and such things as planks and the iron-work used in their houses. Some are even carrying away their doors and windows. When the Chinese were in Sunan they burned such things in their campfires. The next salient characteristic of the Korean after inefficiency, is curiosity. He likes to “look see.” Koo-feyung is his word for it, and a koo-kyung is to him what plays, lectures, sermons, horse shows, menageries, excursions, picnics, and what not are to us. And in this he has one advantage over us—it comes cheaper. To the Korean a ‘Hook see” is the sum of all delight. The most trivial thing or event is sufficient to hold him for hours, and for hours he will stand or squat, just looking and seeing. The Sunanites, now that they have carted away their goods and chattels, and having learned that the Japanese soldiers will not harm them, come back each day from their retreats for a koo-kyung. And it is a perpetual koo-kyung. Soldiers and supplies are continually coming by, and between whiles they have me. I live on the main street in a deserted house of which I have taken possession, and all day long there is a rapt and admiring audience before my door. It is like a Japanese play, because it lasts all day. The curtain never rings down. Korean houses are so made that for light and air the doors must be opened. Mine are open, and it keeps Manyoungi, my Korean factotum, on the jump to force the crowd back so that light and air may come in. I am certain if I charged a penny a “look see,” that I should more than clear expenses; and I am equally certain that a head charge of a nickel would yield a handsome dividend on the capital invested in this trip by Mr. Hearst. The first of the audience arrives before breakfast and in wonder and amaze watches me turn out and wash. With the explanation that the Korean does not wash, his wonder and amaze will be understood. Each doing of mine is duly noted and before nightfall is spread to the remotest recesses of the hills. Some of my actions are greeted with shouts and exclamations. There is a constant discussion going on as to why I do this or that; but my star performance is shaving. When Manyoungi brings the hot water and I lather my face the street blocks up. The marching troops have to force their way through; it is like a street in front of a metropolitan newspaper when the election returns arc being posted. I looked. He was clad in spotless white, his face was washed, and his rounded lines showed all the evidences of prosperous eating. His house, I learned, was a long distance off the main road, which would not do at all; and while I changed my undergarments I courteously declined the invitation. But it was the most intimate interview with a nobleman I ever had in my life. In the middle of the day, when the sun tempers the bite of the wind which sweeps down from across Siberia, it is my custom to go for a ride. First, I ride north my allotted hundred yards for the pleasure of having my guards turn out and warn me back. Then I turn to the east, following the trend of the village, and ride to Captain Teshima’s quarters. Captain Teshima is my jailer, and he is “very sorry” for me, as everybody has been “very sorry” for me ever since I struck Japan. I know half a dozen words of Chinook, and he speaks French; so I fall back on my interpreter in order to learn the state of Captain Teshima’s feelings for me. He is constant, at any rate, for each day he is equally sorry for me, and he is as courteous as he is sorry. He gives me rations for my horses, and rice and soy (sauce) and beef for my men— also, any information he is at liberty to divulge. I learn to-day that all other foreigners and correspondents are being held back in Ping Yang. And as Dunn has gone back to Ping Yang to wake the dead in an effort to get permission to proceed, I am here in Sunan alone and farthest north. Also, I heard to-day that there was a likelihood of Dunn’s being unable to return even to Sunan. It all depends upon whether or not he can get a pass from General Sasaki. From Captain Teshima’s I ride to the field telephone station, which is located in a deserted temple. And after a visit to the Red Cross doctor I turn eastward again past abandoned yamens and temples and through the silent suburbs. No smoke curls up from the houses, and the only life in evidence is a host of prowling, snarling dogs. The Korean dog is a wolf-dog. Here and there will be found a strain of European stock, but through it all the wolf runs, and it is the wolf characteristics which predominate. The wolf has to predominate if the dog is to survive; for the Korean is Asiatic, and as such knows little of sympathy and kindness, and towards dumb beasts none at all. He eats his dogs, not only when he is hungry but when he wishes to titillate his stomach with a delicacy. Young dog in the spring is to him what spring lamb is to us, and old dog is just common, every day mutton. As like as peas are many of the dogs to the sled-dogs of the Klondike, and here in the deserted streets of Sunan may be duplicated all the slight differentiations of the Klondike breed. Here also is the prototype of the Hudson Bay dog, somewhat larger than the Klondike dog, heavier, chestier, and shorter-furred. The country, as far as the eye can see, is equally deserted. No peasants bend their backs in the fields or gather fuel from the wooded slopes. But the paths through the hills have been churned into bogs by the feet of the fugitives. Here and there, like forlorn ghosts in their white wrappings, may be seen strings of men drifting back to town for their koo-kyung and for any stray doors or windows which may be lying about. But the center of things, the seething life, is to be seen on the street where I live. It is the Pekin Road, twenty-feet wide between the houses, and everything passes my door. In the afternoon I set up my photograph gallery, and the audience of Sunanites becomes perturbed, excited, and delighted. The perturbation is individual, the excitement and delight belong to the mass. The poor wight I pitch upon for my victim comes in fear and trembling to the gleeful shouts of the crowd, and each selection is hailed with a shout from all save the one selected. One married man I was compelled to hold while the camera was snapped by proxy. He squirmed and twisted, the tears washing white channels through the coating of dirt on his face and thereby making his expression of fear the more ghastly. But this particular married man was only ten years old; yet he was a man, for no male is a man in Korea until he is married. A man is a boy, if he be a bachelor, and must wear his hair down his back; while a boy is a man, if he be married, even though no more than five or six years of age, and it is his privilege to wear his hair in a top-knot on the top of his head. Manyoungi has quite entered into the spirit of my photography, and fares forth enthusiastically to capture any specimen I desire. Yesterday a Korean refugee, with a child and household goods on his back, drifted into Sunan, bound south. Manyoungi seized upon him forthwith, and man and boy howled and cried for very life. Between sobs the man assured me that he had done no wrong, that he was a mere nobody, a poor man who had no money, nothing. But his howls and tears redoubled when I put the camera on him, for he took the glittering mechanism for some terrible instrument of death. Not always is Manyoungi’s zeal so successful. Another refugee he captured had a child on his back the head of which was covered. Manyoungi drew the blanket back, exposing at the same time the child’s face and a case of smallpox in the extreme stage. The blanket was drawn up hastily and the specimen passed on unrecorded. At night-fall, the koo-kyung over, the main body of the audience disperses; but still stream by the soldiers, bullock-carts, horse-trains, and coolies. And late at night, as I crawl between my blankets, I hear the jarring of wheels and creaking of leather, the lowing of tired bullocks, squalling of ponies, curses and yells of drivers, and the crunch, crunch, crunch of hoof and sandaled foot on the frozen mud—bound north all, man and beast, to where the Russian lies in wait. 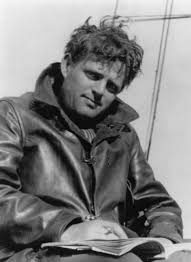 Historic journalism from Jack London and 12 other writes is now available at The Archive of American Journalism.